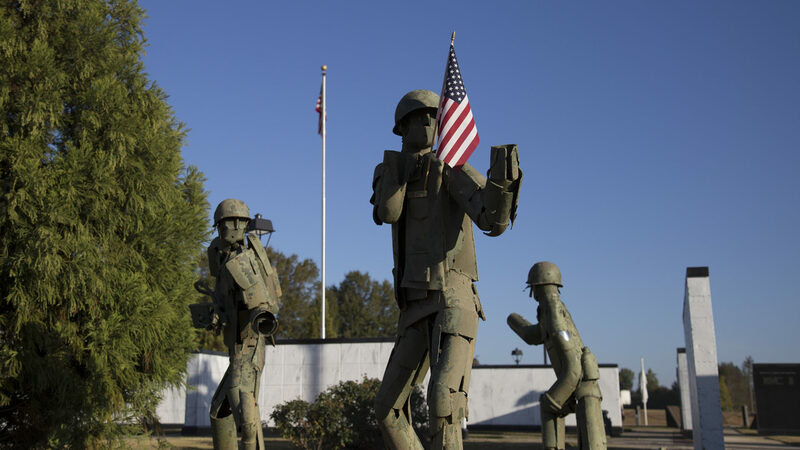 Carroll County Veterans Memorial Park – A site dedicated to honor the Veterans who served or lived in Carroll County. The Carroll County Veterans Memorial Park Committee’s mission is to plan, build, equip and maintain a park to honor military veterans of the United States of America who are currently living in Carroll County, who have lived in Carroll County at some time or who have Carroll County connections and who honorably served their country. This includes any period of service in the Armed Forces in which the individual is currently serving or has been honorably separated from active or inactive service, beginning with the American Revolution. We, all volunteers, want to promote patriotism and to provide recognition to veterans of all U. S. Military Forces, past, present, and future. Our goal is to raise funds and accept donations to support the establishment and maintenance of a Veterans Memorial Park as a non-profit organization. Our main priority is to provide the Veterans of Carroll County an appropriate memorial. We want to have a prestigious place to assemble for Memorial and Veterans Day Programs, as well as a place for individuals and families to have a quiet place to remember their loved ones. Our original construction of 24 Walls of Honor containing 1,152 individual plaques showing name, rank, and service record was completely filled by 2016. We added 12 additional walls making room for 576 more plaques. The Killed In Action Walls are up to date and contain all the Carroll County Veterans of all the U. S. wars beginning with the American Revolution. All Branches of the U. S. Military are represented on the Emblem Wall, which is complete. Our Women’s Wall brings attention to the contribution of women in all wars since the Revolution. Two new features were added in 2018 highlighting the KIA Walls which brings attention to the 332 killed in action from Carroll County in all wars since the Revolution and a “Missing Man table” remembering all that has yet to be found or returned. Walkways, an Information booth, brick and plaque index, bell tower, pavilion flagpole, lamp posts, benches, landscaping have been put in place. Our goal is to make this the prettiest and most impressive place in Carroll County because that is what our Veterans and Troops deserve. Eventually, we want to have funds available to care for the park and continue to add names as long as there are wars in which Americans serve their country. Make a donation to the park! The Carroll County Veterans Memorial Park Committee’s mission is to plan, build, equip and maintain a park to honor military veterans of the United States of America who are currently living in Carroll County, who have lived in Carroll County at some time or who have Carroll County connections and who honorably served their country.